These terms are often mentioned as indications for low-carb and Keto lifestyles. But what do they actually mean? Let’s look into these terms in more detail – and consider whether understanding them can actually help in your weight loss efforts. Metabolic syndrome is a medical term. It describes an actual health condition which carries significant risks. It’s much more serious than some vague notion of “slow metabolism”. Metabolic syndrome covers a group of symptoms including diabetes/pre-diabetes, high blood pressure and obesity. There is a linked propensity for insulin resistance, inflammation and high triglyceride levels. It significantly increases the risk of heart disease, stroke and blood clots. Recent studies demonstrate that many of these symptoms are related to high carbohydrate consumption. Simply cutting out sugar and other refined carbs makes a huge difference. There is also a great deal of anecdotal evidence that a strict Keto diet is the best way to deal with the metabolic syndrome. It addresses most of the symptoms by helping people lose weight. It also lowers blood sugar, decreases inflammation and triglyceride levels. Some people have also successfully managed this condition through Zero-Carb/Carnivore approach. Metabolic resistance is a term coined by Dr Atkins in his original Atkins Diet book. He used it to explain why some people find it extremely difficult to lose weight. According to Dr Atkins, there is a link with high insulin resistance and high triglycerides – just like the metabolic syndrome. But he also cited the use of prescription drugs (especially hormone-related ones), underactive thyroid and overgrowth of yeast bacteria Candida Albicans in the gut. Dr Atkins recommended supplements to fight metabolic resistance, primarily Co-Enzyme Q10 and L-Carnitine. He also strongly recommended working together with your doctors to re-adjust any required medicines. Or, at least, find ways to counteract their negative side effects. Candida is an interesting one. It’s just one of the hundreds of bacteria that live in our digestive systems. But it thrives on sugar. If your diet is very high in sugar, Candida can overpower other bacteria to dominate your gut flora. The more it grows, the more sugar it requires. This can lead to actual strong sugar cravings – all for the sake of feeding overgrown Candida! The best way to manage Candida is to cut out sugar and refined carbs – which you would do anyway if you are on Keto. Probiotics and fermented foods (like live yoghurt, kefir, kombucha, sauerkraut) can further help to restore a healthy gut balance. 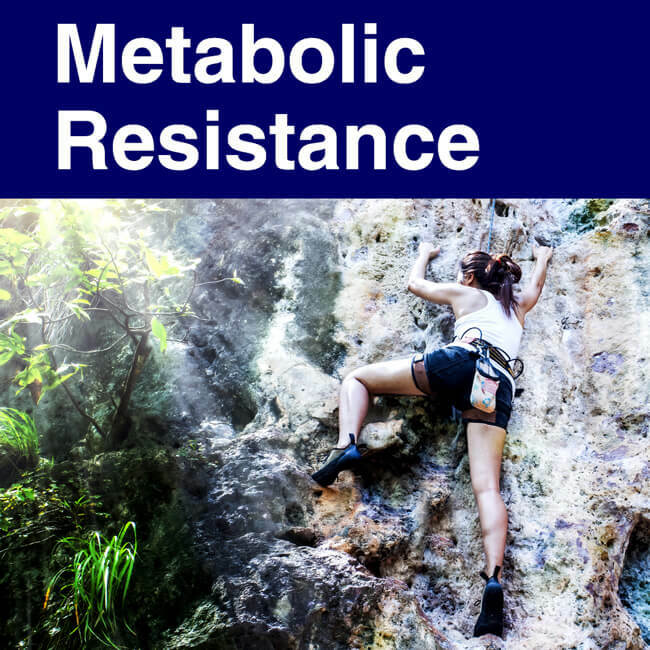 When looking for materials on metabolic resistance, I came across another buzzword – “Metabolic Resistance Training”, or MRT. This describes a certain type of high-intensity exercise which may or may not be helpful for your metabolism. Exercise is, without a doubt, beneficial. But the jury is still out on what type is the optimal one, especially with regards to hormonal balance. Slow metabolism is not a medical term. Most people just use it in a very vague way, to describe difficulties with weight loss. It is true that weight loss is more difficult for some of us than others. It depends on many factors. These include age, gender, genetics, body composition, activity levels and many others. Some of these factors, such as age, are outside of our control. But there is still plenty you can do to “speed up” your metabolism. Strength training, HIIT exercise, low-carb diet and targeted supplementation can make a huge difference. Certain health factors – like high insulin resistance, inflammation, hormonal disbalance and gut flora issues – can affect your metabolism. If you have some of these issues, you might find it very difficult to lose weight. Those of us who get to the level of metabolic syndrome also suffer from a much higher risk of serious disease. But you can improve this condition by cutting out sugar and following a low-carb diet like Keto or Atkins. 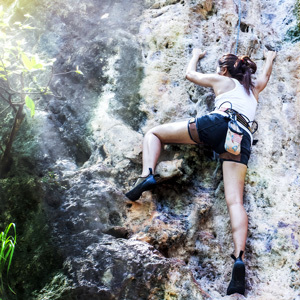 High-impact exercise is also extremely beneficial. Finally, discuss your prescription medications, supplements and any potential disbalances in your hormones and your gut flora with your doctor. Please shout in the comments below.